An overview of your rooms on one screen. JOAN helps companies manage their meetings and meeting spaces more efficiently, supporting flexible and dynamic ways of work with paperlike displays that blend into office design and provide information at key points in the office. While the smaller, touchscreen JOAN displays outside each meeting room help employees by displaying meeting information, the question of providing an overview of room availability when not at the meeting room door remained. 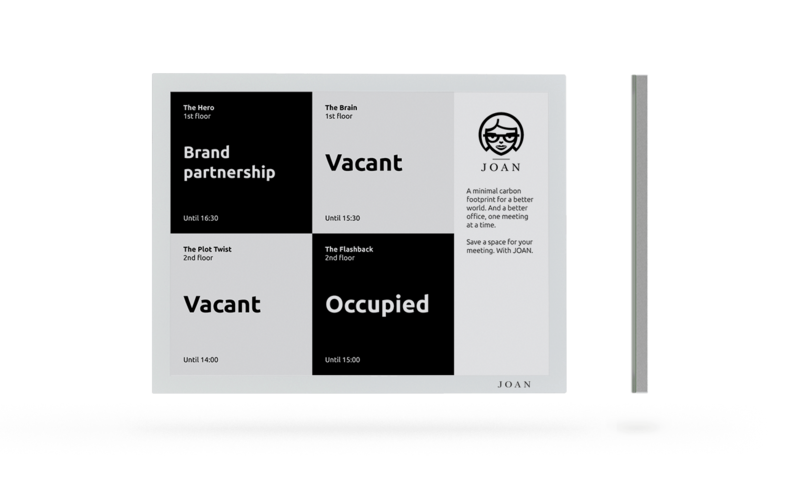 Developed on our ultra low power electronic paper technology, the JOAN Board provides a seamless office overview by displaying the availability of all company meeting rooms at a glance. This 13” non-touch electronic paper display shows the status of all or a select group of meeting rooms, so everyone in the office knows which rooms are available and where to go for their meeting. The JOAN Board is completely cord-free and does not require access to power. Superb energy-efficiency and a battery life of months make the JOAN Board the greenest office tech around, priding itself on an unparalleled simplicity of installation and use. Place the JOAN Board at the reception desk or in the hall to simplify meetings for everyone in the office. Customize it with your company logo and add a custom message to welcome your visitors or share the quote of the day. For a seamless office overview. ▫ Easy to set up. No wires. ▫ 180° viewing angle. No glare. Created in close cooperation with our most passionate users. Thank you guys, you are the best. Powering a new era of innovation. Visionect is the world leader in deploying digital signs in environments impossible before, setting a new standard in versatile, energy-efficient displays. The result of a decade of market-leading expertise, Visionect technology is unparalleled in versatility, ultra-low power consumption, ease of installation and simplicity of use. The JOAN Board in person. 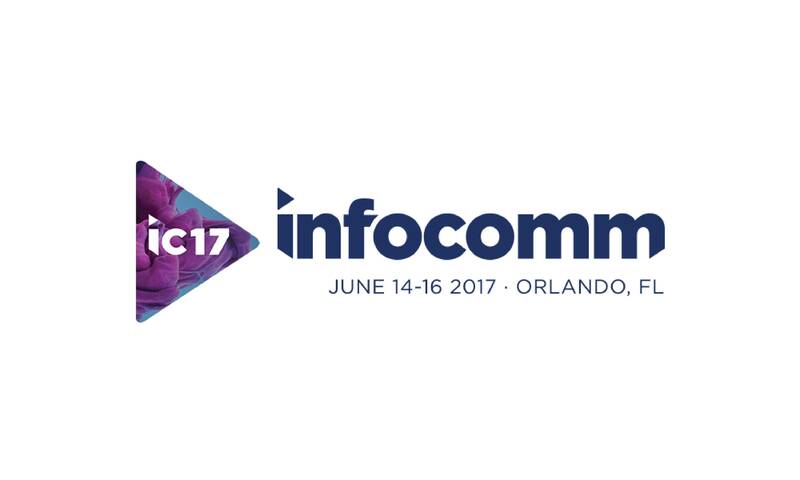 The JOAN Board was showcased for the first time in Orlando in June at InfoComm 2017, the largest trade fair in North America for audiovisual communications.